This reading group guide for Sinners and Saints includes an introduction, discussion questions, ideas for enhancing your book club, and a Q&A with authors Victoria Christopher Murray and ReShonda Tate Billingsley. The suggested questions are intended to help your reading group find new and interesting angles and topics for your discussion. We hope that these ideas will enrich your conversation and increase your enjoyment of the book. Both Rachel Jackson Adams and Jasmine Larson Bush stand by their men—both of whom are pastors. But when their husbands are each nominated for the role of president of the American Baptist Coalition, the largest organization of African American churches, the kid gloves come off. Rachel and Jasmine each want her own husband to win—solely for the betterment of the ABC, of course. To become the most important first lady in America, the ladies will have to figure out what they’re willing to sacrifice. Neither is quite a saint, but will they have to become sinners to make it to the top? 1. Sinners and Saints opens with Jasmine’s promise to God. Do you think that Jasmine keeps her promise throughout the course of the story? Why or why not? 2. Jasmine feels bored with the routine of her life with Hosea (p. 8). How do you think this boredom influences her strong pursuit of the ABC first lady title? 3. 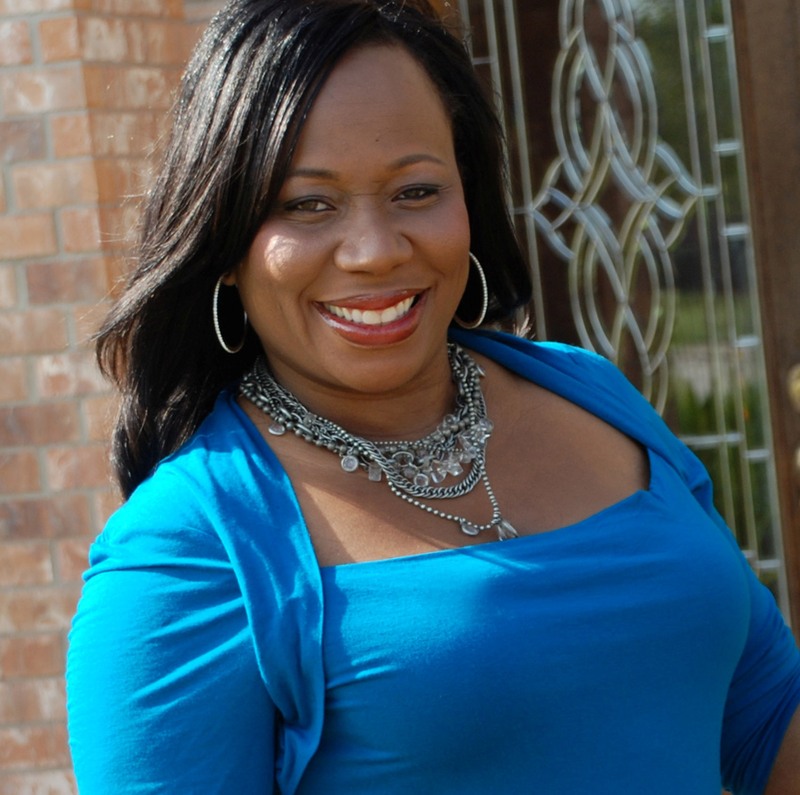 Rachel Jackson Adams imagines her love for her husband as agape love (p. 11). Look up the meaning of the word agape in a dictionary or the meaning of agape love on the Internet. Do you think this sentiment is true for Rachel and Lester, based on their interactions with each other throughout Sinners and Saints? Is agape love a good description of any of the relationships in the book? 4. Mae Frances seems like a fairy godmother to Jasmine. Do you think their friendship is beneficial for Jasmine? How about for Mae Frances? 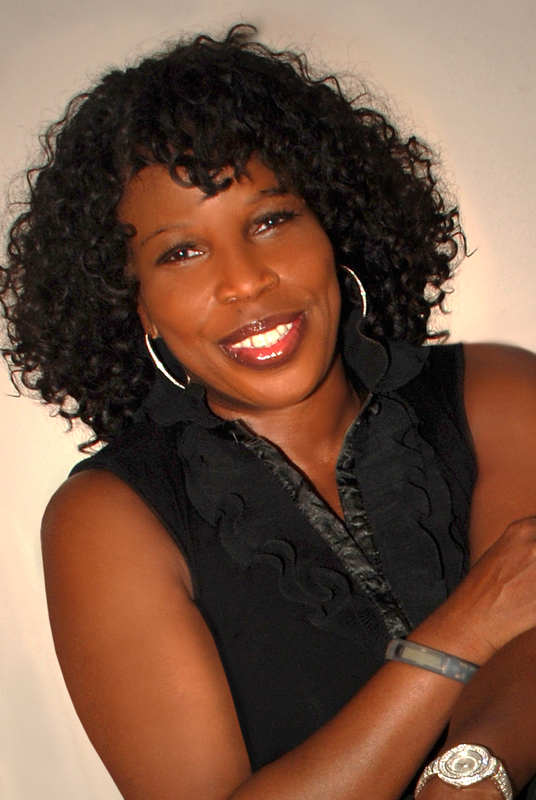 How did you perceive Mae Frances’s role over the course of the ABC conference? 5. Rachel reminds Lester that “faith without works is dead” (p. 29). And Hosea is described as walking in his faith, while Jasmine works in hers (p. 42). What do you think of this idea of faith? Do you think you can be faithful without deeds? Are the first ladies faithful in their actions? What about the pastors? 6. Rachel’s plan to sabotage Jasmine’s arrival is cut short when current first lady Cecelia offers Jasmine’s family half of their floor. What did her generosity make you think of Cecelia? Were you proven correct or incorrect? 7. There is a strong divide between Jasmine and Rachel, and it’s exacerbated by their backgrounds (country versus city, North versus South, etc.). Rachel takes pride in looking good for less, while Jasmine enjoys her designer brands. With which mindset did you empathize? Do you love a bargain or an indulgence? How does the North/South divide impact their mindsets? What could the ladies learn from each other about their different hometowns? 8. At different points in the novel, both Jasmine and Rachel find themselves humiliated in public. Do you think each of the women handled it well? Did one outshine the other in a mortifying moment? What’s the best way that you’ve found to deal with embarrassment? 9. How are Lester and Hosea similar? Are their relationships with their respective wives markedly different, or do they interact in comparable ways? How do each of the pastors relate to God through word? Did you find yourself rooting for one or the other in their race to be president of the ABC? 10. What did you think of Cecilia’s shifting alliances? Does she seem to truly favor one of the pastors (and his wife) more than the other? How would you characterize this woman, who has so much sway within the ABC? 11. At what point in their rivalry do you think Jasmine and Rachel cross a line? Which revelation or accusation or insinuation was the point at which you would have stood up and said, “Enough!” Have you ever taken a rivalry too far? What made you realize it was time to stop the conflict? 12. Discuss the ending of Sinners and Saints. How do you think Jasmine and Rachel’s interactions will change now that the outcome of the presidential race has been decided? Will it change at all? What do you predict for the next novel starring these two powerful women? 13. 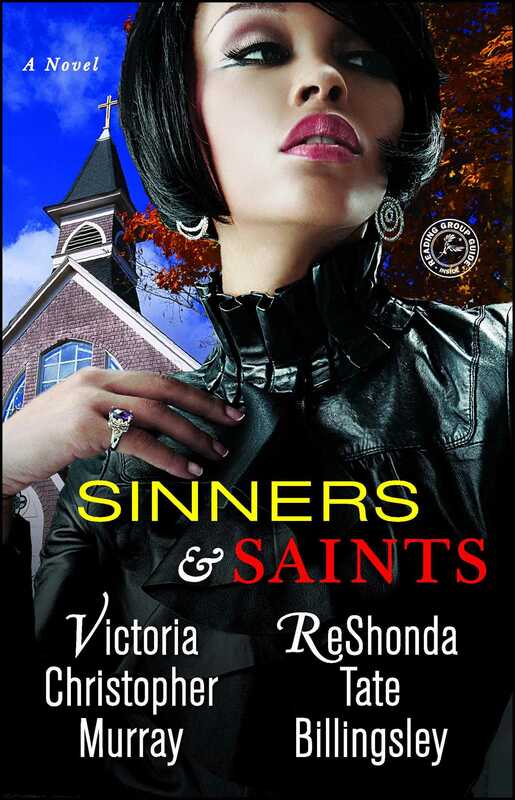 Sinners and Saints is written by two authors—Victoria Christopher Murray and ReShonda Tate Billingsley. Did you notice any indication of the two authors? If so, how did this affect your reading of Sinners and Saints? If you have read any of their previous novels, did you pick up on any similarities in the writing? 1. Have your own vote! Make a ballot box (or just use a hat), and have everyone write down on a slip of paper the name of the pastor they would have voted for if they were at the ABC election. Tally the votes and see who comes out on top! 2. The pastors and first ladies each use scripture and prayer to help them through the hard times. Have a Bible on hand and give all participants the opportunity to share their favorite scripture passage, prayer, or personal motto. What kinds of help do you need throughout the day? 3. If members of your book club are not Baptist, visit a Baptist church. If members are Baptist, visit another Christian denomination for Sunday services. After the celebration, talk with each other about the differences and similarities between the church services you’d experienced. How did the idea to write a book together come about? Did you two coordinate it, or was it suggested to you? Well, that’s a common thread that we both heard when we were out on our individual tours. Everyone would say, “Jasmine and Rachel should meet up.” At first, we just laughed it off, but then when people started debating who would win in a Rachel-Jasmine battle, it seemed inevitable that these ladies would meet. What was it like working together, letting two such beloved heroines interact? What was the writing process like? Did you plot it out together or hand off the manuscript, playing off of each other’s ideas? This was the most fun either of us have ever had writing a book. We tried to lay out a general outline (which of course, changed along the way) but for the most part we fed off of each other’s creativity. In fact, reading each other’s chapters only fueled our fire. We found ourselves trying to one-up each other after every chapter. How did you decide to set Sinners and Saints in Los Angeles? Was it the only place you thought to put the convention, or did you toy with the idea of holding it in one of the heroines’ hometowns? How do you feel the neutral ground plays into the story? From the start we wanted a neutral location. Since Jasmine was living in New York and Rachel was living in Houston, we felt Los Angeles would be the ideal spot for the conference to take place. What is it about the first ladies that lead them to make promises first—giving $1 million, knowing Regina West—and worry about fulfilling those pledges later? Did you intend for the characters to act similarly in this way? Both Jasmine and Rachel’s downfall is they sometimes act first and think later. In the spur of the moment, neither woman wants to be outdone, which is why they go overboard with their pledges and promises of what they can accomplish. We never planned for them to act similarly. We just let our characters be who they are, and their similarities showed. Victoria, how do you write characters from different generations so seamlessly? Do you have an easier time with characters of one age, or is it equally challenging to get all the voices right, regardless of the characters’ ages? That’s interesting; I’ve never paid attention to the differences in my characters’ ages, though I work very hard making sure that each of my characters has an authentic voice. I’m not sure age has as much to do with it as does the content of their character. Whichever character, I just try to stay true to who they are—at that takes in everything including their ages. Both Jasmine and Rachel have to grapple with their pasts in order to do what’s right for their families and churches. Do you think that their checkered lives give them more depth than more perfectly behaved characters? Do you empathize more with their sinful or their saintly sides? Rachel and Jasmine are actually fan favorites for a reason—they are flawed characters who in their hearts want to do right, but can’t ever seem to stay on the righteous path. That’s why their sinful sides seem to garner the most empathy. That’s also something women from all walks of life can relate to. ReShonda, you often write about a whole cast of women. Is it easier to write a story centered around one main female character, or do you prefer to write ensemble pieces? Tell us about the difference between writing these two different types of novels. I actually don’t have a preference. I simply enjoy getting into the minds of my female characters. When I’m centering a story on more than one main character, I have to be more focused to make sure each of them have their own unique voices. But I actually like the challenge of doing that. You both have fantastically crafted websites that offer ways to get in touch with you via the site, Twitter, and Facebook. What is the most common feedback you get from readers? Have you ever incorporated that feedback in your writing? How connected do you feel to your fans? We both always joke about how accessible we are to readers. We both try to answer all of our e-mail; we interact with readers on Facebook and Twitter. What we hear the most is how much readers enjoy the books. We also hear a lot from people who want us to come to their area and do book signings. Who are the sinners and who are the saints? With which character do each of you empathize with the most? Hmmm, good one. Well, we definitely know Rachel and Jasmine are nowhere near sainthood! (Although if you were to ask them, they’d both probably claim they were the saints). Both Lester and Hosea are as close to saints as you’ll get in this book. If anyone deserves empathy, it’s those two men, because their wives are truly out of control! Finally, what can you tell us about your next book together? What’s in store for Rachel and Jasmine, and when can readers expect to get their hands on the next installment? What’s so great about this project is that when we started, we had no idea who would win the election. Actually, we were nearing the end of the book, and we still had no idea. Then, when the events unfolded as they did, we knew the door was opening for book number two. You know, even though the battle may have been won, the war is far from over. Now that a new president is installed, these two women will have to work together, and deal with some danger that they find themselves embroiled in. We can’t wait for readers to check out that book as well!